Auravedic Restructuring Hair Oil comes in a clear plastic bottle with a golden screw top lid. The packaging itself comes sealed in a plastic wrapper to ensure that the product has not been opened or used. It is quite light and can be easily carried around in a bag without any fear of leakage or spillage. 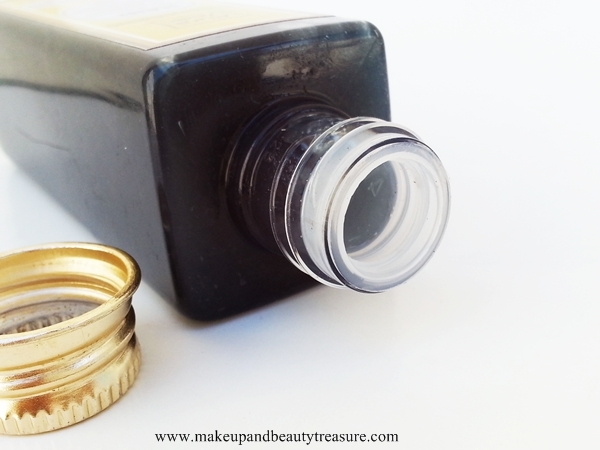 As soon as you unscrew the lid, you will find a stopper in which you can make a hole to be able to use the oil. The hair oil is dark blackish green in color and the scent is light and very pleasant. The consistency of the hair oil is perfect. It is neither very thick nor very runny. It is quite light and does not feel heavy or greasy. Instead of warming it up, I apply it directly onto my scalp and hair. I then massage it gently using my fingers and leave it overnight to get utmost results out of it. The scent does not tend to intensify and remains mild. I feel it penetrates the hair shaft and not just coat the hair. The hair oil is easy to rinse and does not leave my hair greasy or limp. My hair feels soft, smooth, very shiny, healthy and manageable with the first few uses. With continues usage for a month, my hair looks really healthy with lots of shine added to them but it does not help much in controlling hair fall due to weather changes. It leaves my dry ends soft and hydrated. I have also seen tiny sprouts of hair at front so I can say it helps in hair re-growth too with regular usage due to the presence of Bhringraj. I have not seen any major visible differences in my hair using this hair oil but it does help in keeping hair healthy and shiny. 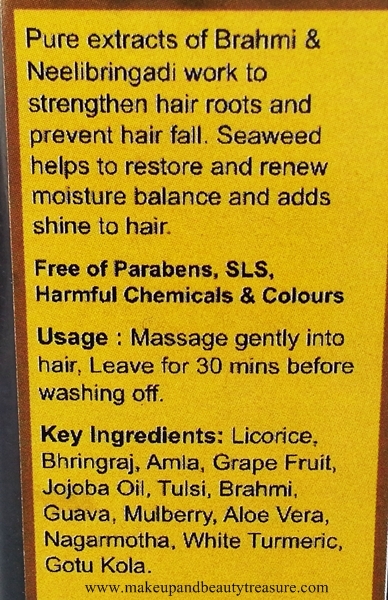 It is natural hair oil and is free from parabens, SLS and colours. It nourishes my hair really well and imparts a healthy shine to it. It contains all good natural ingredients like amla, bhringraj, brahmi, neelibringadi, seaweed etc that are really great in improving the quality of hair. In winter season, it tends to freeze like coconut oil and you just need to warm it up to be able to use it. • Makes hair soft, shiny and manageable. • Helps in hair re-growth. • Does not help much in hair fall. 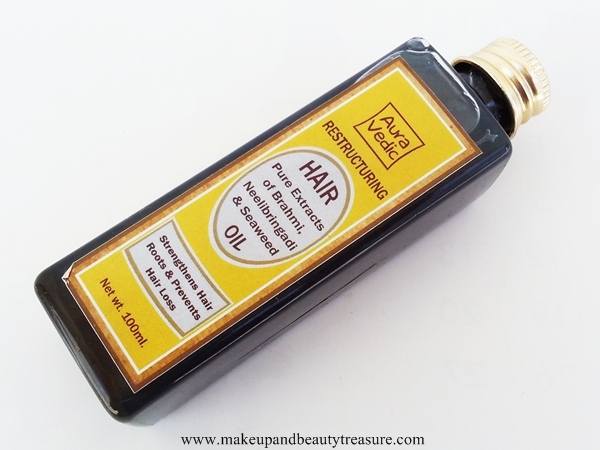 Auravedic Restructuring Hair Oil is a natural hair oil that makes your hair soft, super shiny and hydrated. It definitely helps in keeping hair in great condition. Though it does not help much in controlling hair loss but it does help in hair re-growth. If you are looking for a hair oil to keep your hair healthy and shiny then I would definitely recommend it to you! • Take a small amount of hair oil onto your palms and rub it to warm it up.This way it applies evenly on your hair. • Do not apply too much oil if you have oily scalp. It results in formation of dandruff. • Do not forget to apply the hair oil on the length of hair if you have dry ends like mine. 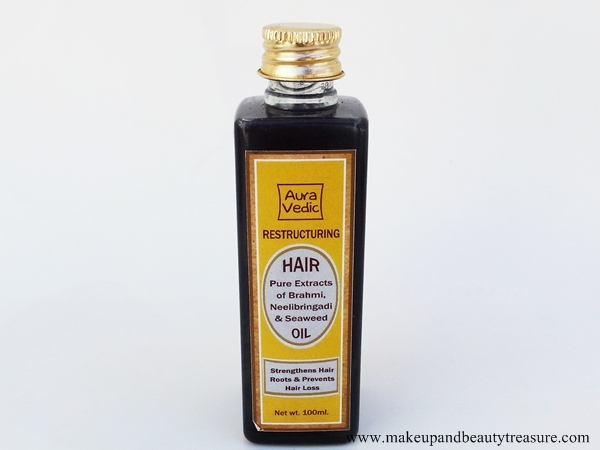 Have you tried Auravedic Restructuring Hair Oil? How was your experience? Share in the comments section below!